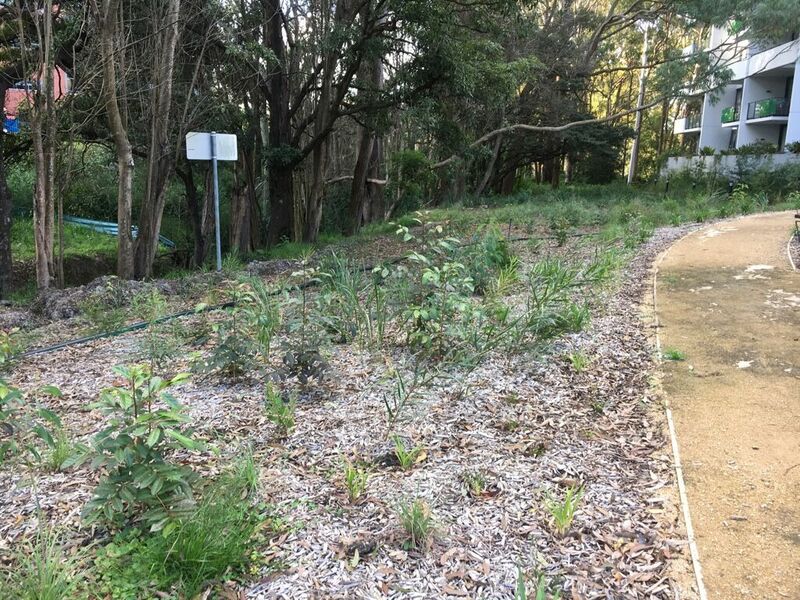 A small strip of very degraded creek line, dominated by Privets (Ligustrum sinense and L. lucidem), Lantana camara and the exotic fern Nephrolepis cordifolia (and loads of Asbestos), has been transformed into a reconstructed riparian zone representative of the Endangered Ecological Community – Sydney Turpentine Ironbark Forest (STIF), that would have once existed in the area. 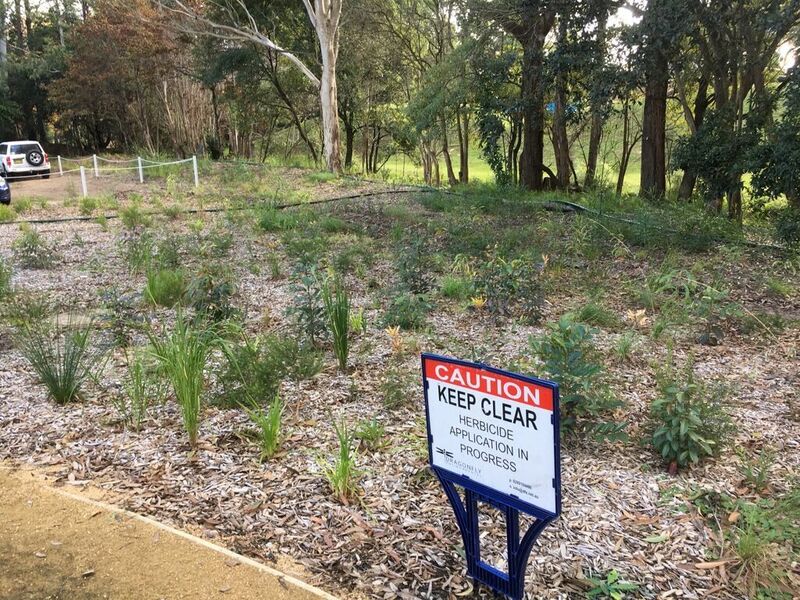 The plantings chill side by side with the powerful canopy trees of Sydney Turpentine Syncarpia glomulifera, Angophora costata and Blue Gums Eucalyptus saligna, that tower over the site. 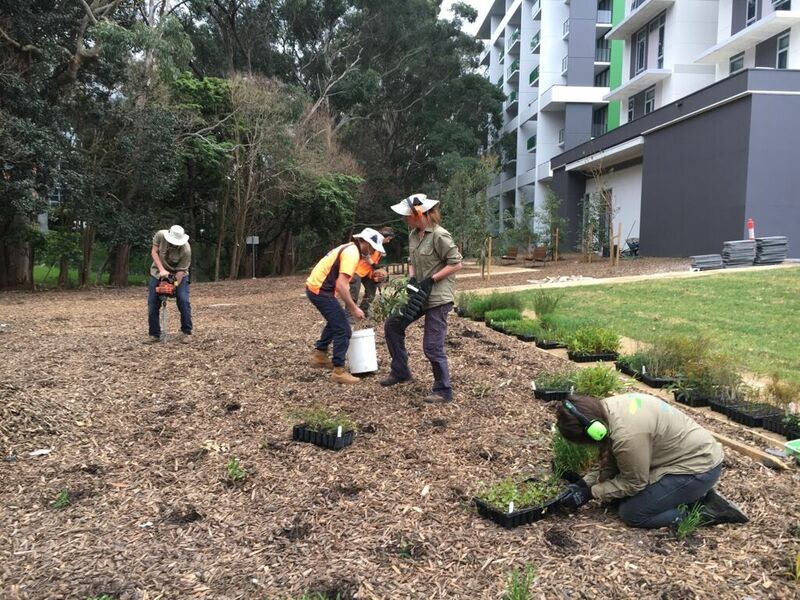 Other areas have also been planted with STIF species, creating small bushgardens that will provide habitat to native fauna in years to come. 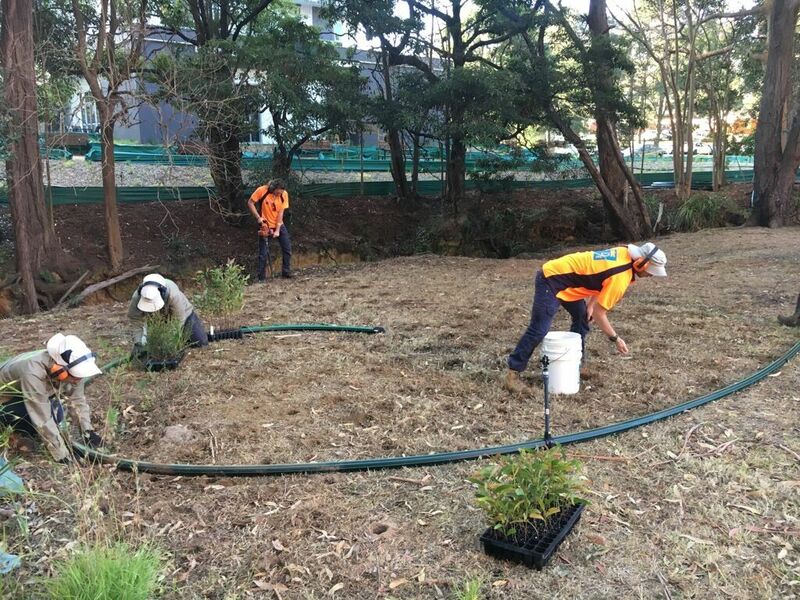 Over 10,000 plants were installed overall, including canopy, shrub and ground layer species. Give it 10-20 years and it’ll be banging in there! 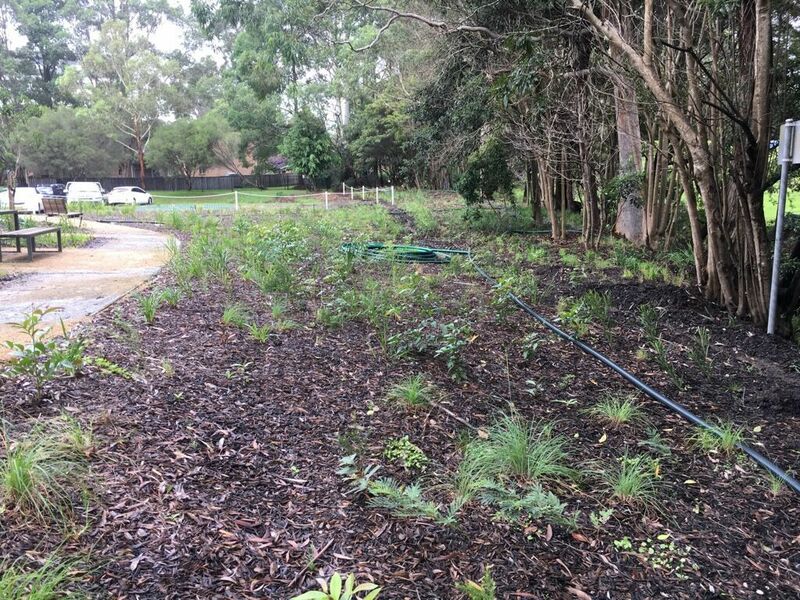 The biggest surprise of this project was that there was one section that was previously all turf grass that was constantly mown and, after spraying and revegetation, a great diversity of native groundcovers has emerged out of nowhere! 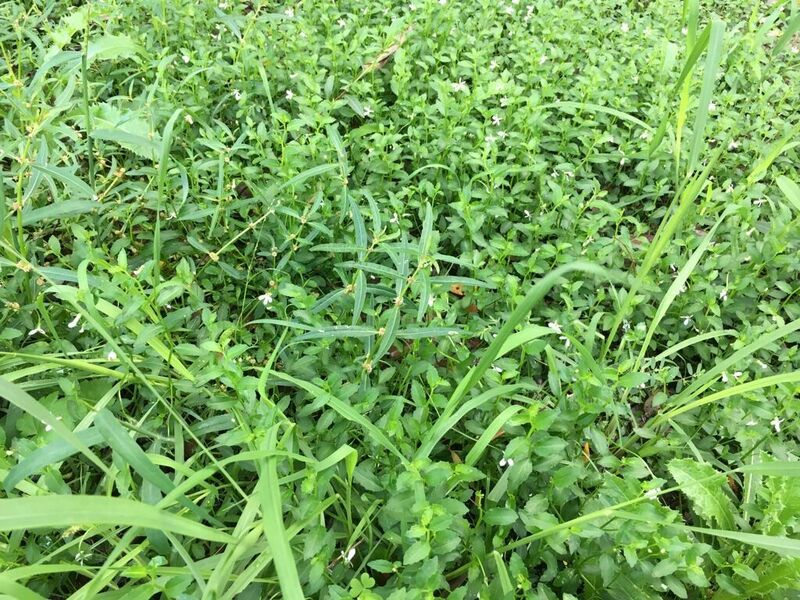 Lush patches of White root (Pratia purpurascens), Lesser joyweed (Alternanthera denticulata), the native grass Entolasia, and the delicate, twining Glycine have popped up and are now thriving alongside the plantings. 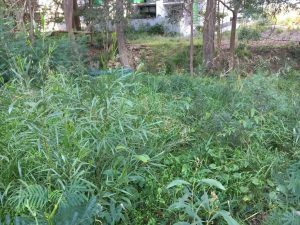 Just goes to show what happens when you give natives a chance! 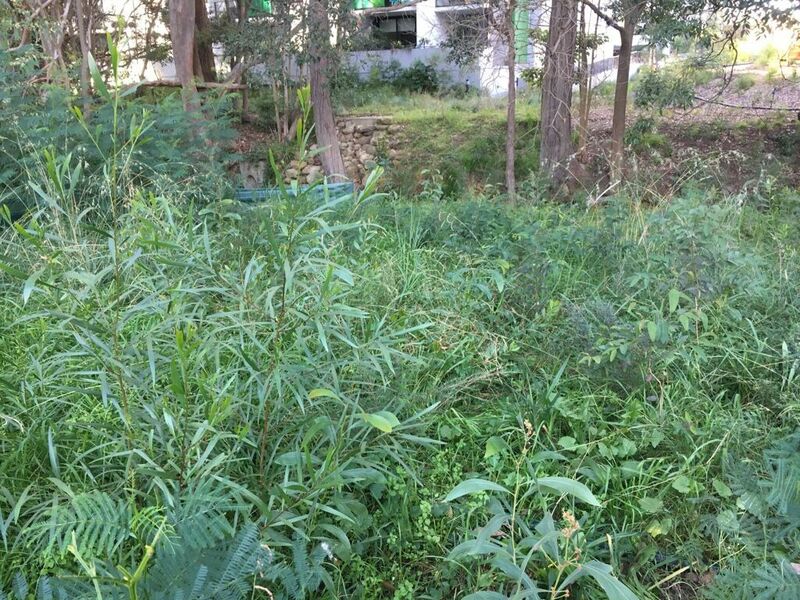 Julian Reyes, the supervisor for this project would like to give a big shout out to all the incredible Dragonfly Natural Area Specialists involved in the project!